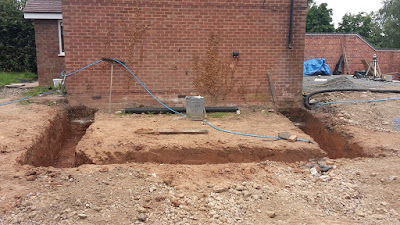 An English Homestead: Extension Progress - Footings Dug! Major milestone today, my dad and I dug the footings for the extension. 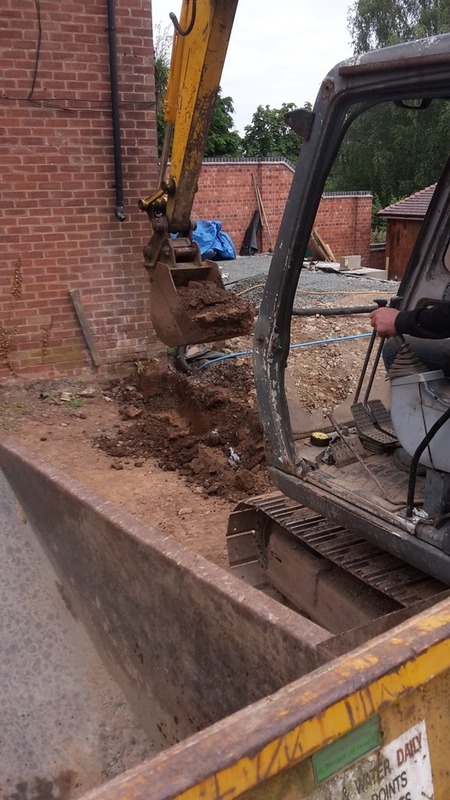 It's been a long time leading up to this, with work on the patio, boiler and drainage all having to happen first. A picture of our future kitchen! It took us the morning to get them dug out and I'm so happy that it's done now. I've booked the building inspector to come round on Tuesday and hopefully we'll pour the concrete on Wednesday. 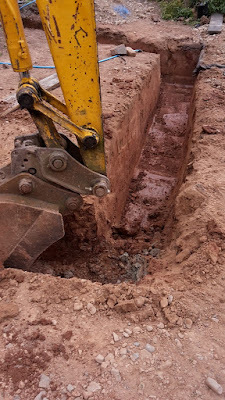 I do think we've dug them a little deep, but I'd rather that than too shallow and for the sake of a little extra concrete it's not the end of the world. I can't wait to get this project moving upwards! That;s the bit I really can't wait for, a good kitchen! I'm going to make ti from scratch as well I hope! A good day work, and a nice start. Luckily it only took half a day - I had plenty to do in the afternoon! 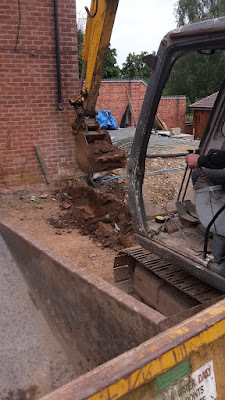 the clay dug really easily with the digger, couldn't touch it with the spade though. Big things have been happening around your place! It must feel great to see your plans and dreams taking shape. Love it! It's all happening at the moment, it feels like we're really moving forward. Does feel like it's going to kill me somenights though! How exciting is it going to be single storey or double? Double, bedroom and bathroom above! I had to dig my house footings by hand. Backhoes are MUCH nicer! I don;t fancy that job! 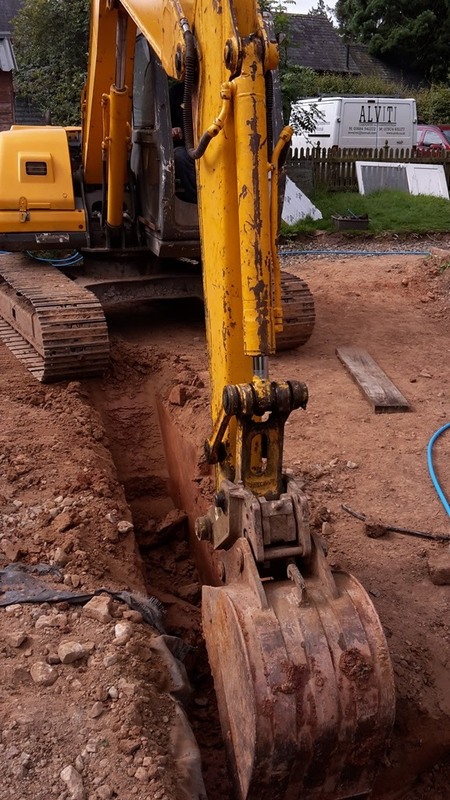 A digger makes everything easier! Looking very good. When is your proposed end date?